Hi, just acquired this lovely 1966 (M6 on the caliber) Bulova automatic, full 18K gold, with 11ALACD caliber, Bulova marked crown. Can' t identify the model, if there is a model name for it ?.. Anybody has an idea of what it could be ? There is also a code on the caliber ("65", see photo) does it mean anything ? A beautiful watch. Unusual to see in 18K gold. 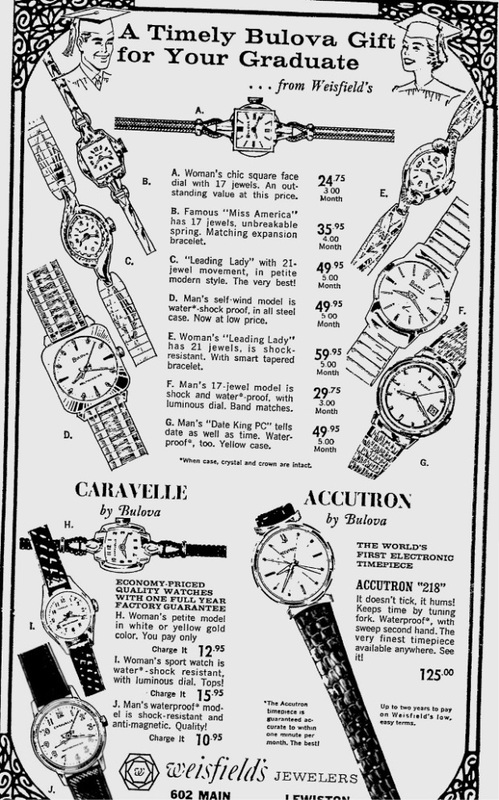 Watches like this are very hard to ID, as it was made outside the US and we have very few ads from Europe in the database. 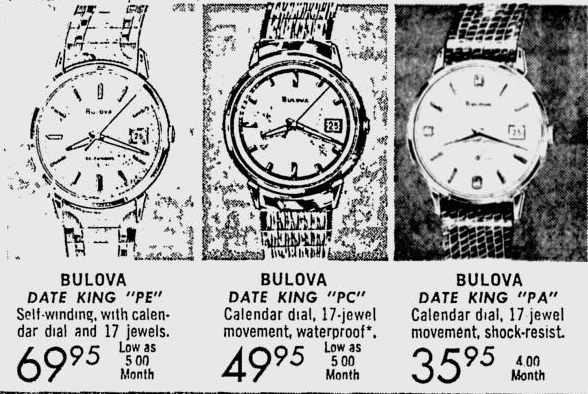 Bulova International was a Europe based Bulova plant and I suspect this watch was a European model not imported to the US and therefore not advertised here. I wish I could give it a name, but am having no luck. My best guess is a variant of the Date King, but I have never seen one in a solid gold case. We have a generic category "International", where we have been placing watches such as yours with the hopes of someday being able to assign a model name. Agreed, the closest I can find is also the Date King model, but suspect it may not have been given a name when sold overseas. Here's an 1966 advert showing a similar design. Watch 'G' listed as a Date King 'PC'. I've seen that 'code' once or twice, this one has it. This one is marked Bulova International on the case back. I think that's the ID we assign it.